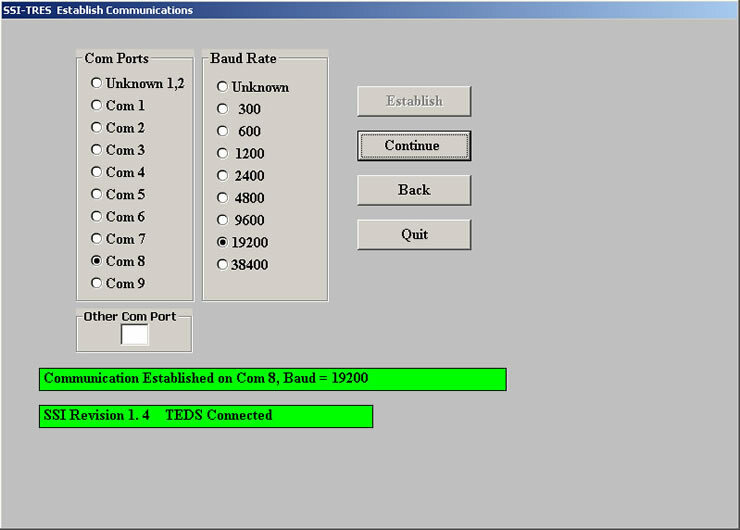 If Communication has been established the Com Port and Baud Rate will be displayed in a window with a green background. If a TEDS EEPROM is detected it will be displayed in a lower window with a green background. At this point click the Continue button.